It has been one fun packed and busy July for both of us, but I will leave what Sammy has been up to, to her. It has been a blur of hen parties and fun filled days which is always great for the summer months and I got to tick off one of my summer wishlist too, with a visit to the RA Summer show yesterday. 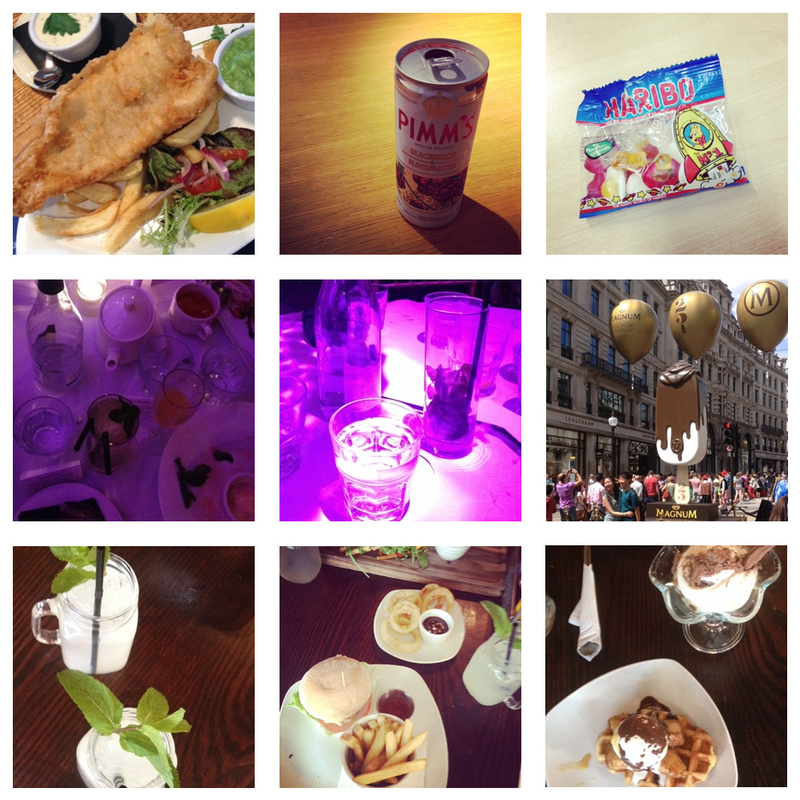 Wherever I have been this month though, I have had lots of food and a few drinks too. From fish and chips on Brighton pier, cocktails in a teacup and Lemonade in a jar, to seeing a massive Magnum at Summer Streets on Regent Street, London - I can only dream it was a real massive Ice cream. I think I might need to go for a few extra swims in August!